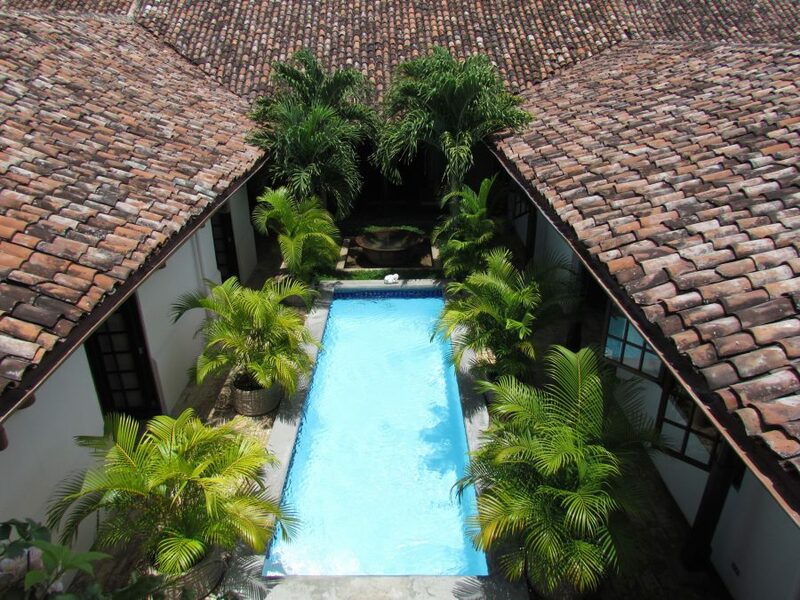 Stone floors, adobe walls, gurgling fountain, palm trees are all part of the experience. 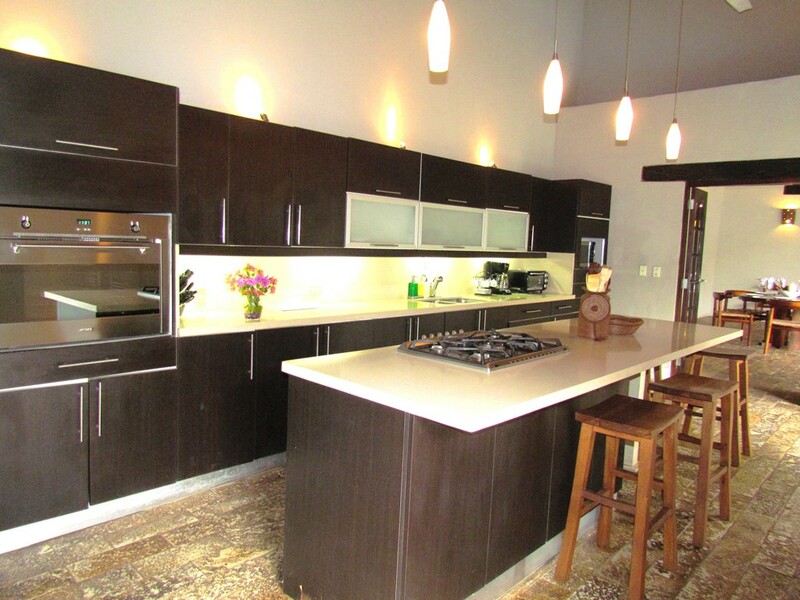 Furniture is all Nicaraguan crafted by the top designers at Simplemente Madera. The style and luxury of the villa are well know in Granada. The house is always featured on the colonial homes tour. . 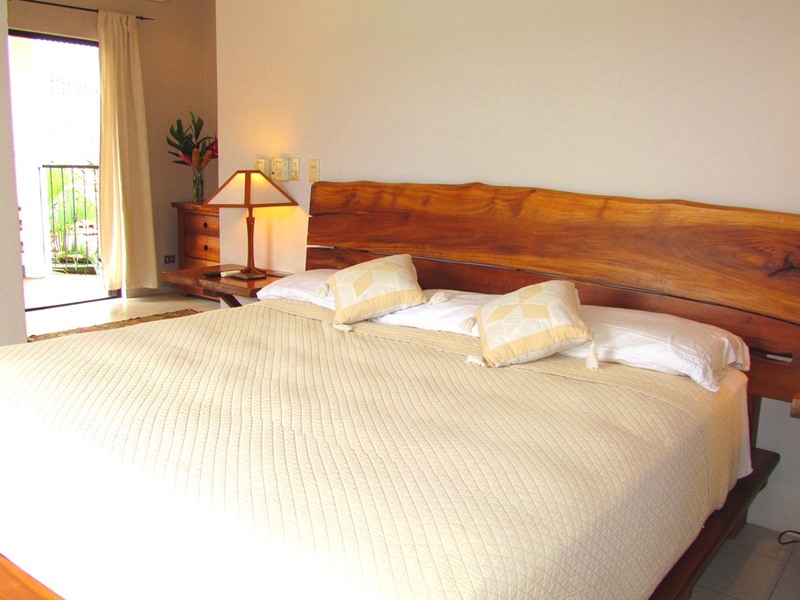 The main floor master bedroom is poolside with gorgeous views of the gardens. An outdoor shower complements the layout. King bed, double sink vanity, stone lined shower and a beautiful desk and work area make this a perfect spot staying on the job if you have to. The most private part of the house with lovely views of church towers and tile roofs. A balcony overlooks the central courtyard, the room is a tranquil haven. Its layout and features are identical to the main floor master bedroom. Traveling with kids? The two poolside bedrooms are the perect spot for swimming to breakfast across the courtyard. 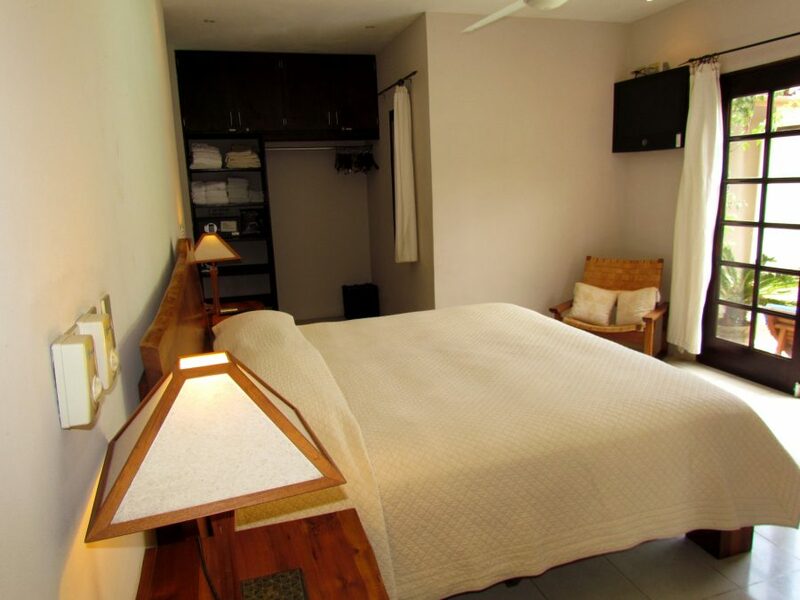 With a shared bathroom/shower and separate vanities with sinks, these rooms are fully air conditioned and comfortable. Double beds with pullout trundles in each room. 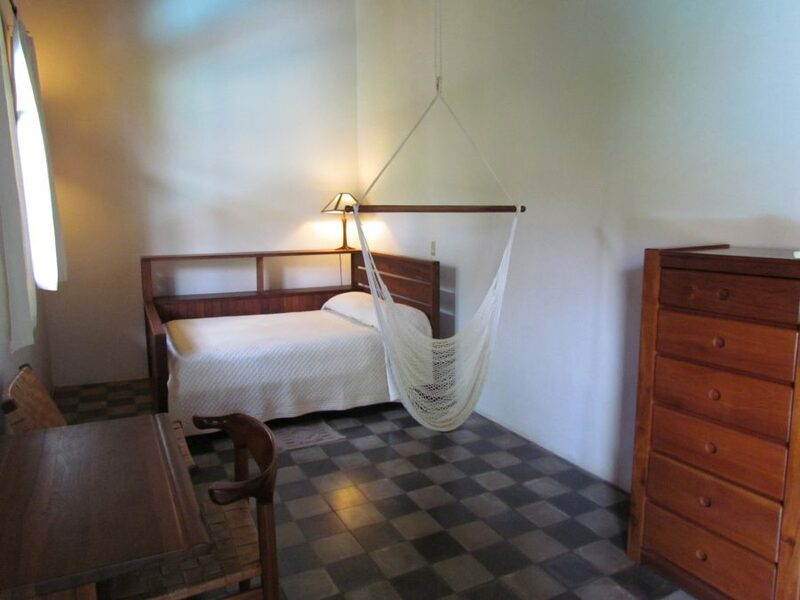 The sala principal is located in the oldest part of the house. With 30 foot ceilings and four foot thick adobe walls, the room is meant to evoke old Granada. The traditional circle of rocking chairs at the center are a perfect spot for conversation or quiet reading. A large flat screen TV and dvd player lies at one end of the room. Statues of saints lie at the other. The kitchen was imported from Italy and has all the conveniences. A central counter is perfect for informal breakfasts. Poolside, the kitchen was built in another old adobe structure with double doors on all walls opening to the pool, gardens, and dining area. The pool and fountain lie at the center of the villa. The fountain was fashioned from a one-ton iron pot originally used for boiling sugar cane and is suurounded by small “gordita” statues and tall palm trees. A formal outdoor siting area and dining room adjoin the fountain area. Three lovely breezeway style sitting areas adjoin the pool. 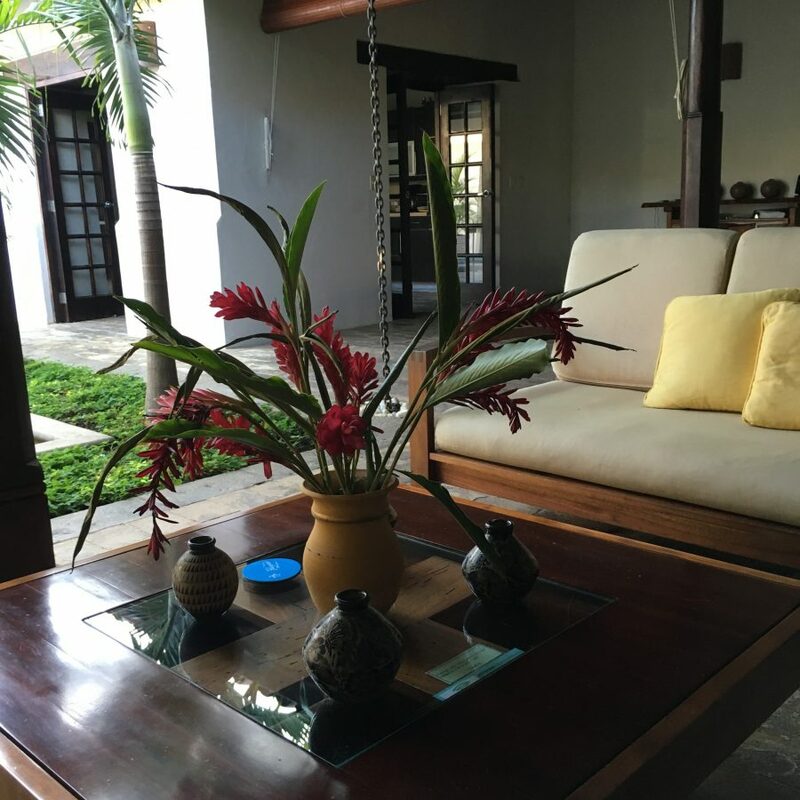 There’s a spot for everyone around the pool at Casa Consulado.